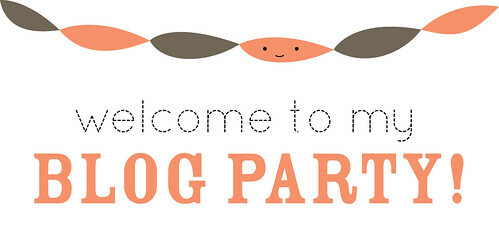 It's time for my first ever blog party! Yes, this is sort of like throwing a party for myself, but it's really for you. Because today will be filled with giveaways, and recipes and printables and fun. And none of those things would be nearly as lovely if you weren't here to participate! There will be new posts pretty much every hour all day, and sometimes more often than that. And it's an open house, so you can come and go as you need to...hee! Also, to celebrate, in my shop today I'm holding the 3rd Annual Mollie's Turning 29 Sale! EVERYTHING is 29% off when you use coupon code MOLLIE29. There will be a place to enter the code at checkout (a new Etsy feature), so don't miss that. Ready to get this party started? I hope so! Happy Birthday! Have fun with the blog party! happy birthday!!! let's get this party started! Happy Birthday, looks like it's going to be a fun day! Happy Happy Birthday to you to you to you! Happy Birthday : ) What FUN!! !